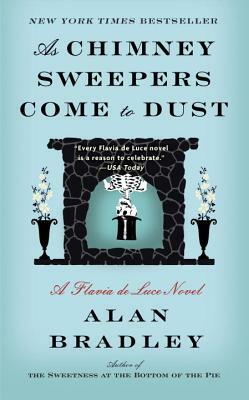 NEW YORK TIMES BESTSELLER • Flavia de Luce—“part Harriet the Spy, part Violet Baudelaire from Lemony Snicket’s A Series of Unfortunate Events” (The New York Times Book Review)—takes her remarkable sleuthing prowess to the unexpectedly unsavory world of Canadian boarding schools in this captivating mystery. Banished! is how twelve-year-old Flavia de Luce laments her predicament, when her father and Aunt Felicity ship her off to Miss Bodycote’s Female Academy, the boarding school that her mother, Harriet, once attended across the sea in Canada. The sun has not yet risen on Flavia’s first day in captivity when a gift lands at her feet. Flavia being Flavia, a budding chemist and sleuth, that gift is a charred and mummified body, which tumbles out of a bedroom chimney. Now, while attending classes, making friends (and enemies), and assessing the school’s stern headmistress and faculty (one of whom is an acquitted murderess), Flavia is on the hunt for the victim’s identity and time of death, as well as suspects, motives, and means. Rumors swirl that Miss Bodycote’s is haunted, and that several girls have disappeared without a trace. When it comes to solving multiple mysteries, Flavia is up to the task—but her true destiny has yet to be revealed.